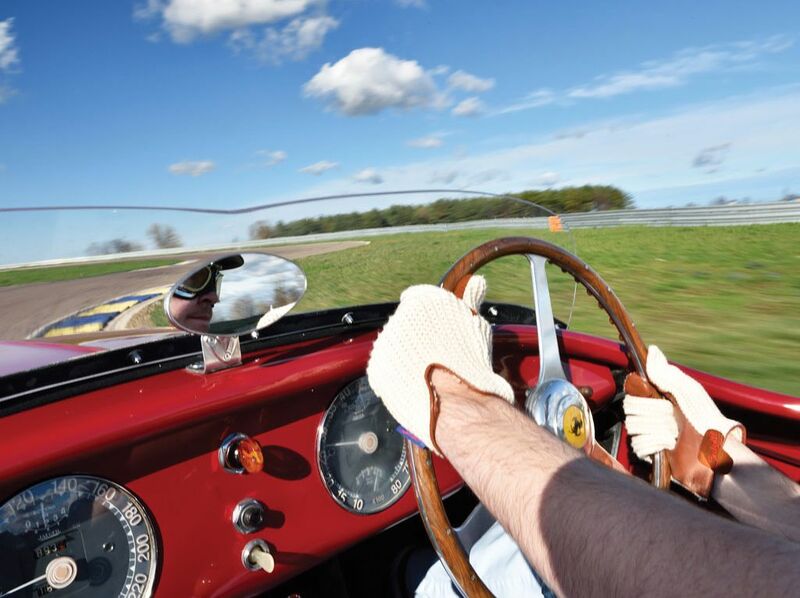 Editor's Note: Thank you RM Auctions for permitting us to run your superb article and photography on one of the most iconic Ferrari's of all time, a 1952 Ferrari 212 Export Barchetta. This one will cross the RM Auctions block March 23, 2013. Ferraris were campaigned frequently and with ferocity by both the factory and wealthy privateers, and the company’s reputation during its early days hinged on the success of its race cars. 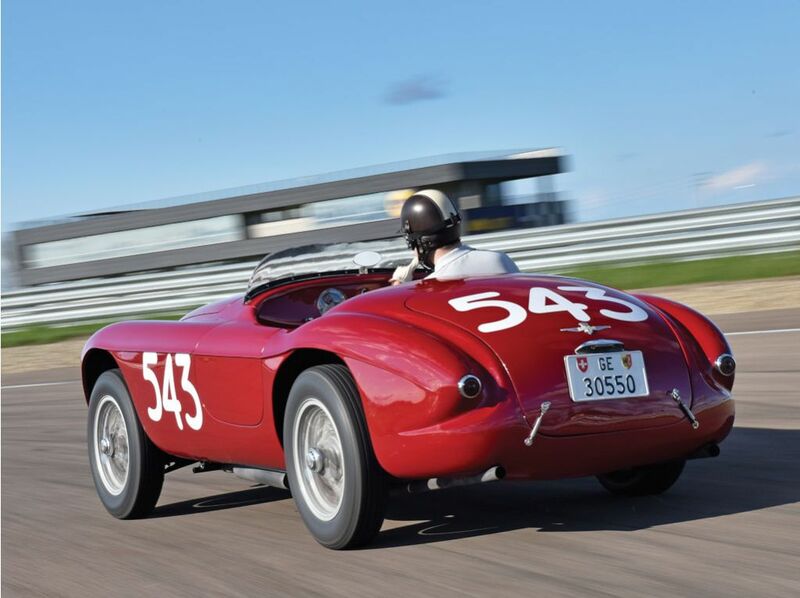 During these early years, Ferrari created a chassis numbering system that would create legends: the competition cars would be designated an even numbered chassis, whilst road going cars would receive odd chassis numbers. 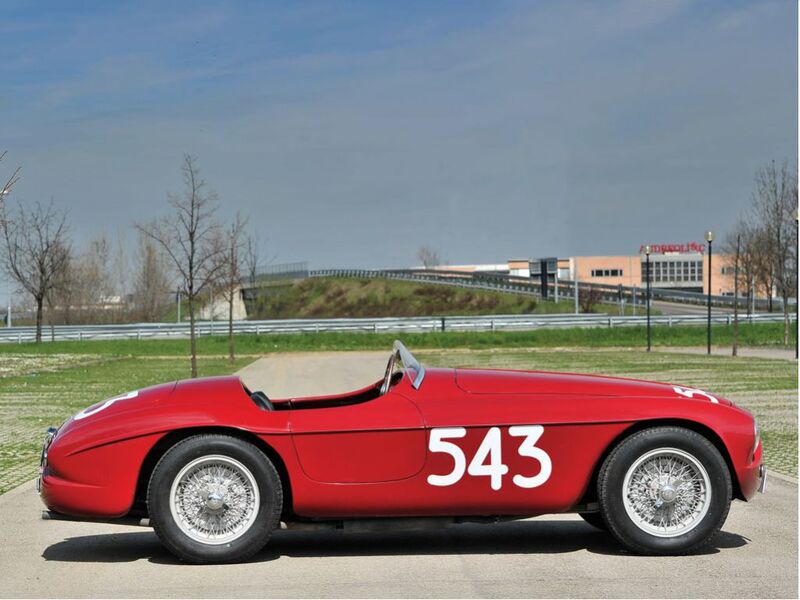 Whilst numerous road going “Inter” models would be built afterwards by Ferrari, this 212 Barchetta would be the final Touring-bodied, race-ready “Export” model built by the factory and fitted with the potent Tipo 212 engine. 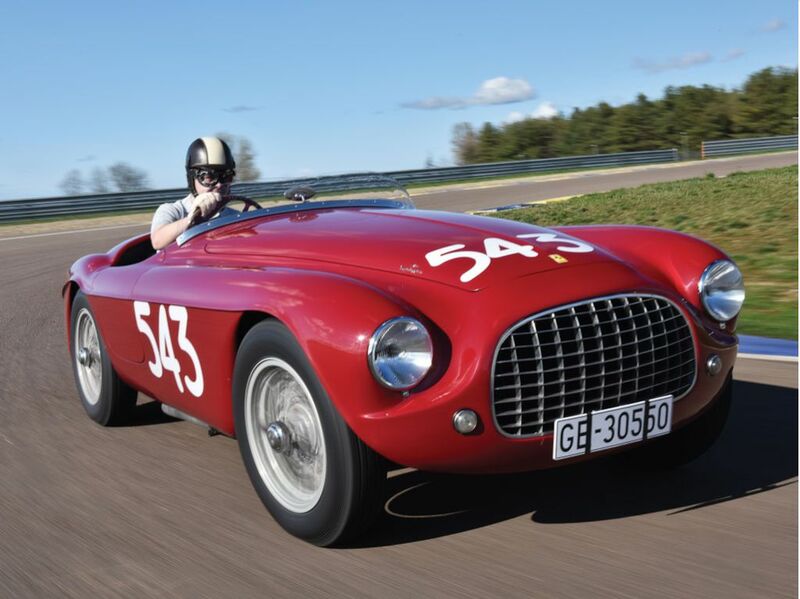 In today’s market, the “holy grail” for any tifosi is an even-numbered V-12 Barchetta, such as the Ferrari offered here. Chassis 0158 ED remained in its native Italy for its formative years. It was purchased new by Baron Luigi Chiaramonte Bordonaro shortly after its completion and a factory road-test on 5 February 1952. 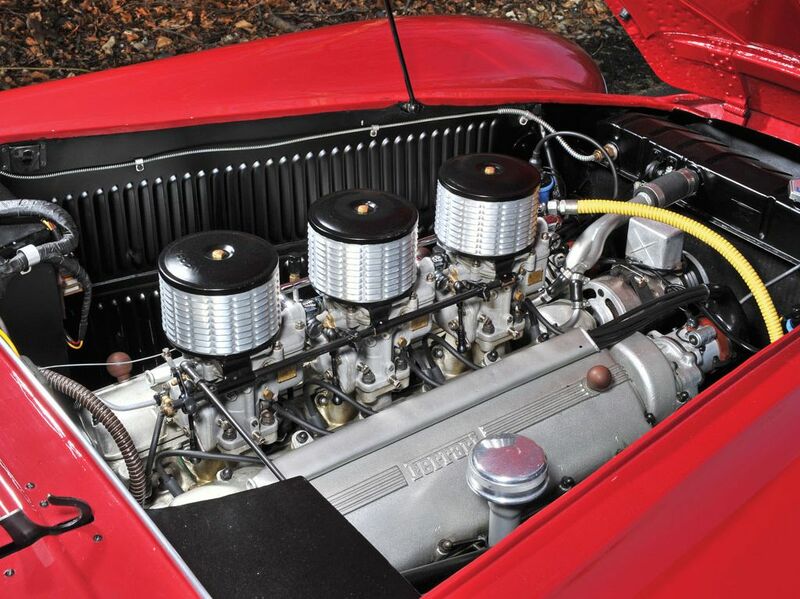 Even in the earliest days of the company, Chiaramonte Bordonaro was already a previous Ferrari owner, as he had purchased a second-hand 166 Allemano Spider (chassis number 006I) in 1949, and he would go on to also own a 750 Monza (chassis number 0530M). 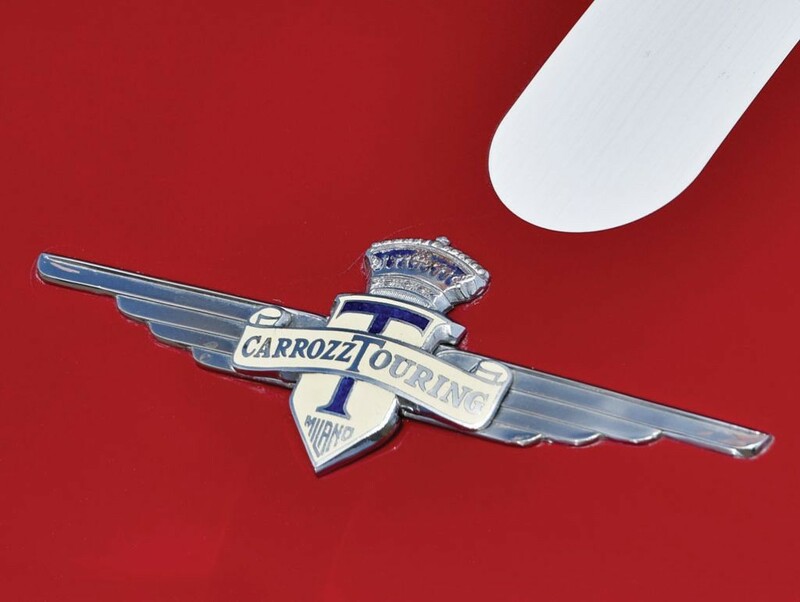 Like his 166, the Baron’s new 212 would be destined for the race track, with Chiaramonte Bordonaro campaigning the car in his native Italy from 1952 to 1955. 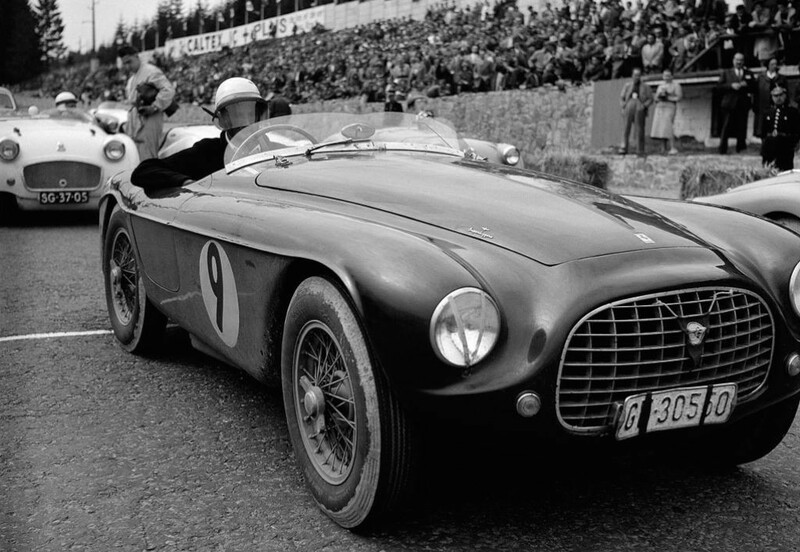 After great success at the Corsa al Monte Pellegrino Hill Climb in April 1952, where he finished 1st overall, Chiaramonte Bordonaro entered his new car in one of the greatest motoring events in the world: the Targa Florio. For a privateer, his 10th overall and 5th in class finishes were incredibly impressive and a testament to Chiaramonte Bordonaro’s skill behind the wheel of his little red Barchetta. 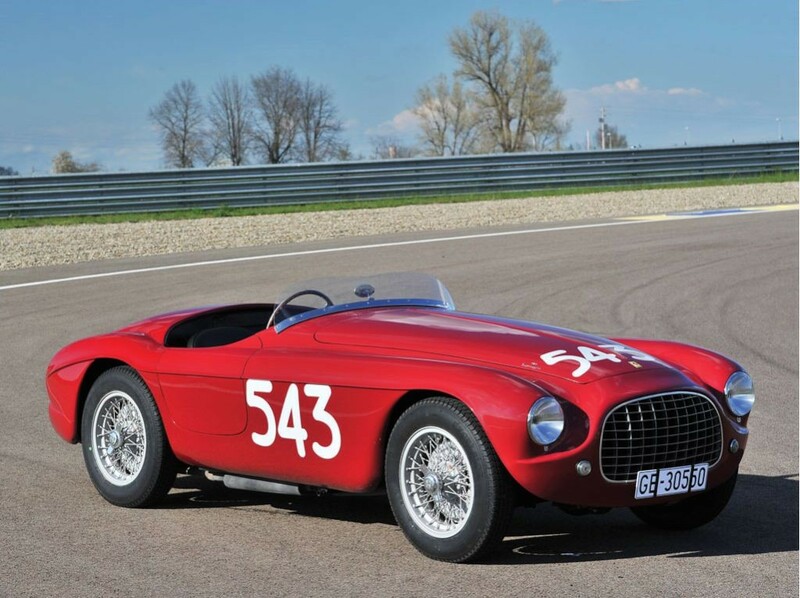 The remainder of the 1952 season proved to be equally fruitful, with the following year starting off with 2nd in class and 7th overall finishes at the car’s second outing at the Giro di Sicilia. Chiaramonte Bordonaro then entered the Targa Florio again, finishing a respectable 16th place overall. Following a pair of 1st place finishes at the Coppa dei Templi and the Passo di Rigano-Bellolampo Hill Climb, Chiaramonte Bordonaro finished 3rd at the Circuito di Reggio di Calabria, and he would continue his winning ways at the VI Coppa Nissena Hill Climb on 27 September 1953. It is important to note that on 6 June 1952, the original Tipo 212 rear axle was replaced by a stronger Tipo 340 rear axle. A minor accident to the rear end of the car during the Giro di Sicilia in April 1954 took 0158 ED out of contention for any major events that season. Nevertheless, the Ferrari returned to the track after it was repaired, and it was raced at the VI Gran Premio Pergusa in August, which was its last race of that year. 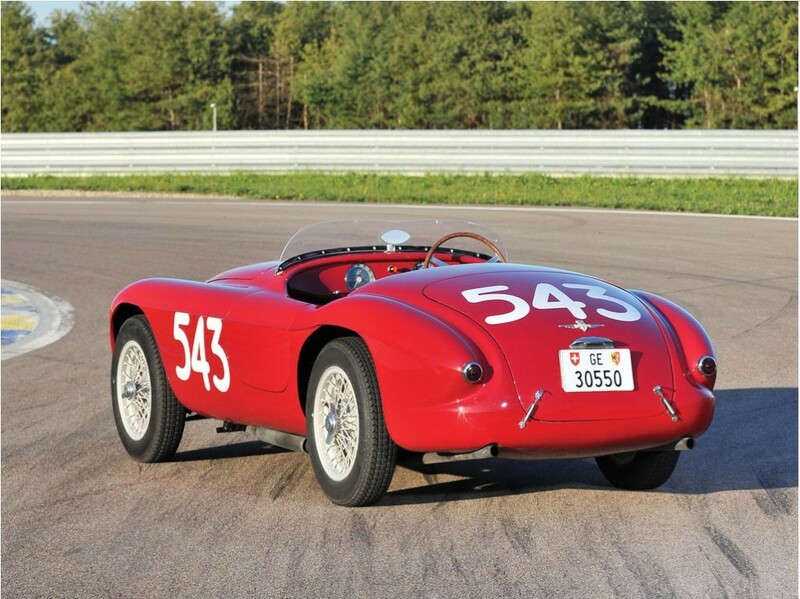 Chassis 0158 ED returned for the 1955 season, and it remained competitive, earning one 4th in class and three 1st in class finishes before the end of the season. Shortly thereafter, the car was sold to Edouard Margairuz, of Geneva, Switzerland, and registered as GE-30550. 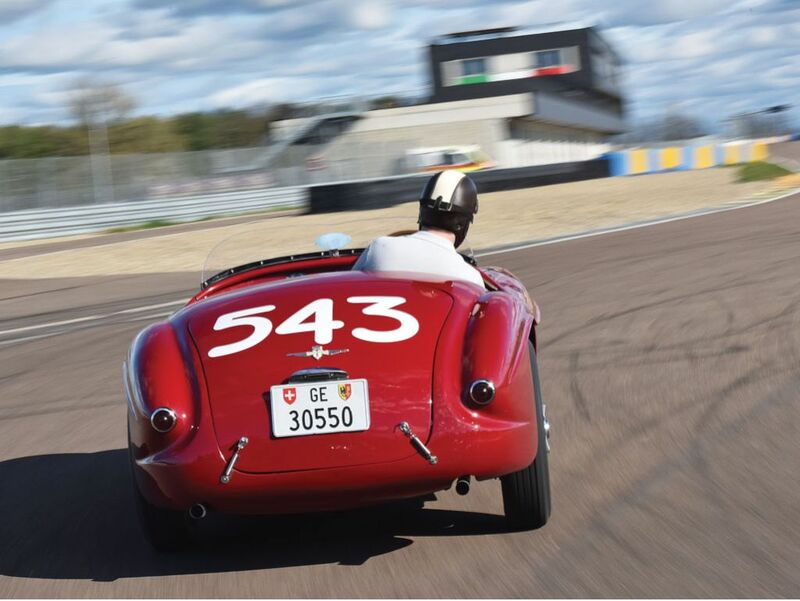 He continued to campaign it throughout 1956, with the car’s most notable outing that year being the Mille Miglia, where Edouard Margairuz was behind the wheel and Robert Gremaud was his navigator. However, after many competitive miles, the car did not finish. This did not discourage Margairuz though, and the Ferrari was campaigned in four more events under his name. 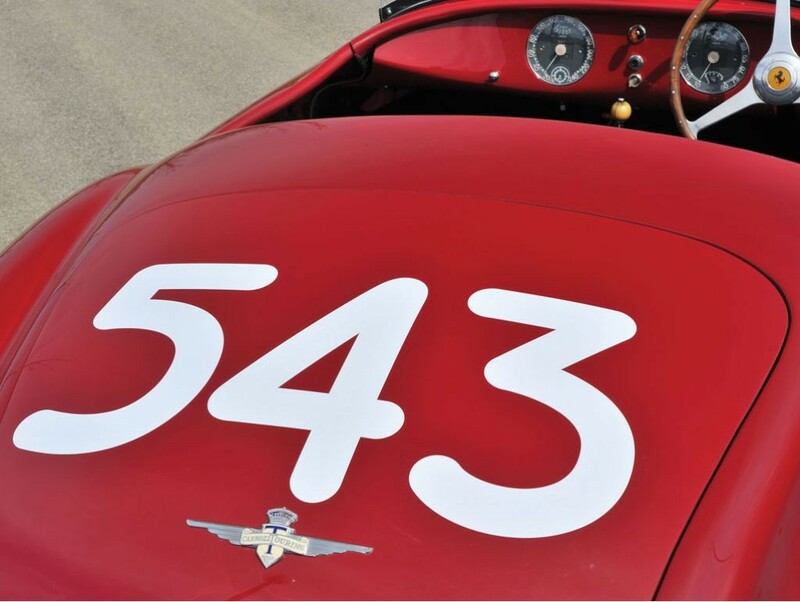 After its retirement from racing, 0158 ED was exported to the United States, where it was purchased by noted enthusiast Chris Cord, of Beverly Hills, California. 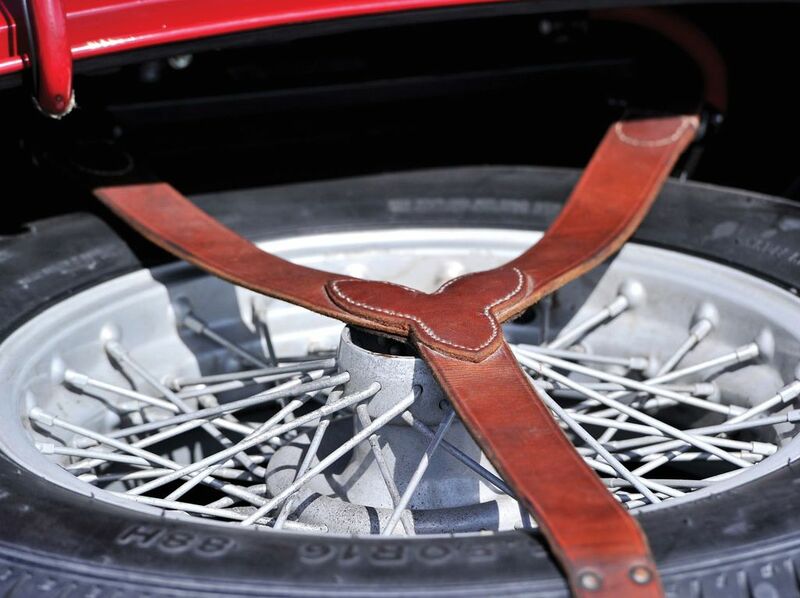 Cord then sold the Barchetta to Ferrari collector Art Connell, of Pebble Beach. It is believed that whilst the car was in Connell’s ownership, Robert T. Devlin showed it on his behalf at the Pebble Beach Concours d’Elegance in both 1965 and 1966, taking a Second Place award in 1966. 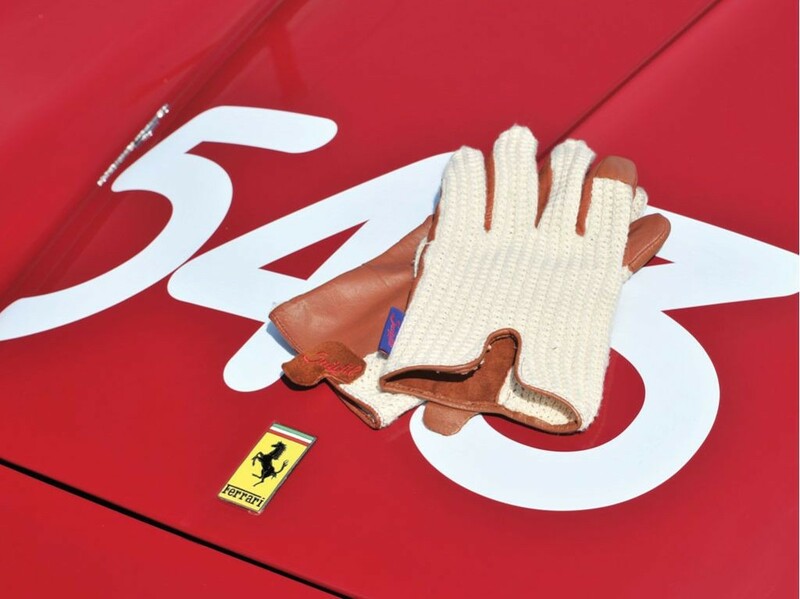 Stephen Griswold, the owner of a Ferrari, Alfa Romeo, and Aston Martin dealership in Berkley, California, purchased 0158 ED from Art Connell and completed a full restoration. Subsequently, it was shown at the 1973 San Francisco Import Show, along with a brand-new 246 Dino GTS and a 365 GTC/4, to show how much Ferrari had changed over the past 20 years. Griswold took the 212 back to Pebble Beach in 1973 and 1974, where it once again received a Second Place (1973) and won the Hans Tanner Trophy (1974). The following year, Griswold elected to skip the concours and instead raced his 212 at the second annual Monterey Historic Automobile Races at Laguna Seca. A year later, Griswold sold the car to Henry Smith, and it was later purchased by Joseph J. Pendergast, of Tampa, Florida. Pendergast was an active member of the Ferrari Club of America and showed the car at a number of FCA events, including the 13th Annual National Meeting in St. Louis, Missouri, and the FCA Regional Meet at Lake Lanier Island in Georgia in 1976. The next year, Pendergast returned to the FCA National Meeting in Watkins Glen and also appeared at the FCA Florida regional event at Daytona and Disney World. June 1978 heralded the car’s third showing at an FCA National Meeting at Road Atlanta in Georgia. In 1990, chassis 0158 ED was purchased by Juan Quintano of Ferrari Espanola in Madrid, Spain, and it would remain there for the next six years. 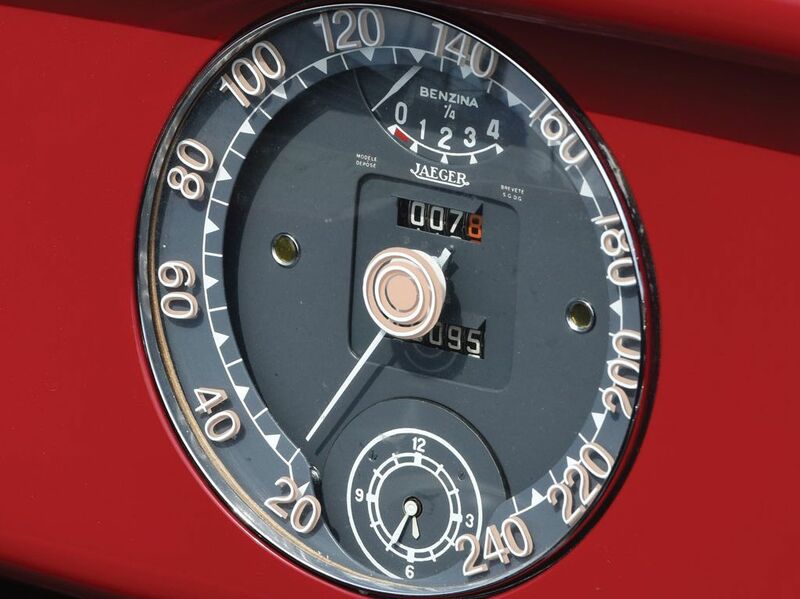 It was then acquired by Ferrari collector Carlos Monteverde, of London, England, who owned the car briefly. 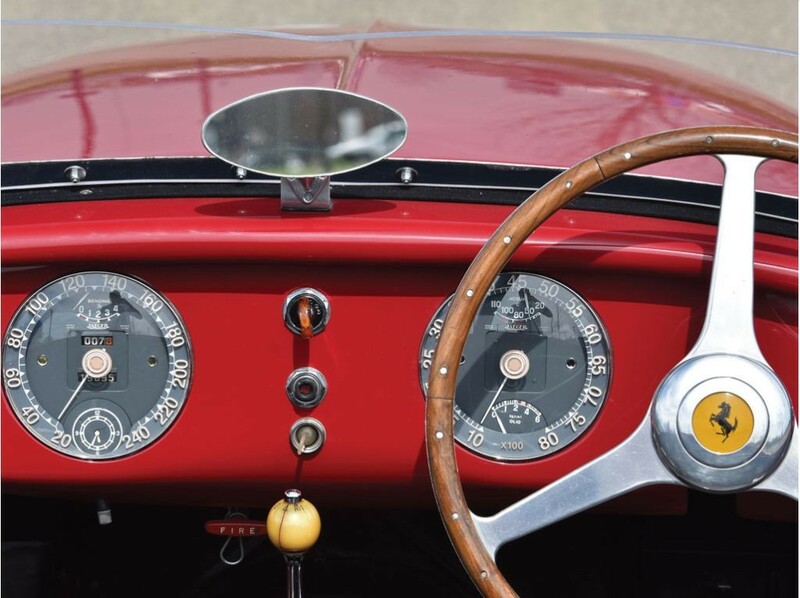 The Barchetta was shown at Cavallino Classic in Palm Beach, Florida, in 1998 before it was attained by William Jacobs Jr., of Joliet, Illinois. Jacobs drove the car on the Colorado 1000 in 1998, 1999, and 2007. He also chose to return the car to the show field, where it was once again presented at Pebble Beach in 2001, as well as at the Amelia Island Concours d’Elegance in 2006. Chassis 0158 ED currently resides in its adopted home of Southern California, and it remains one of the finest examples of its kind. Whilst many early Ferraris were campaigned hard early in their lives, few emerged largely unscathed from the rigors of competition. It is important to note that 0158 ED retains its original engine, gearbox, and axle. It has already proven itself capable of winning awards at some of the most competitive concours events on the planet, and it holds its own on historic rallies. 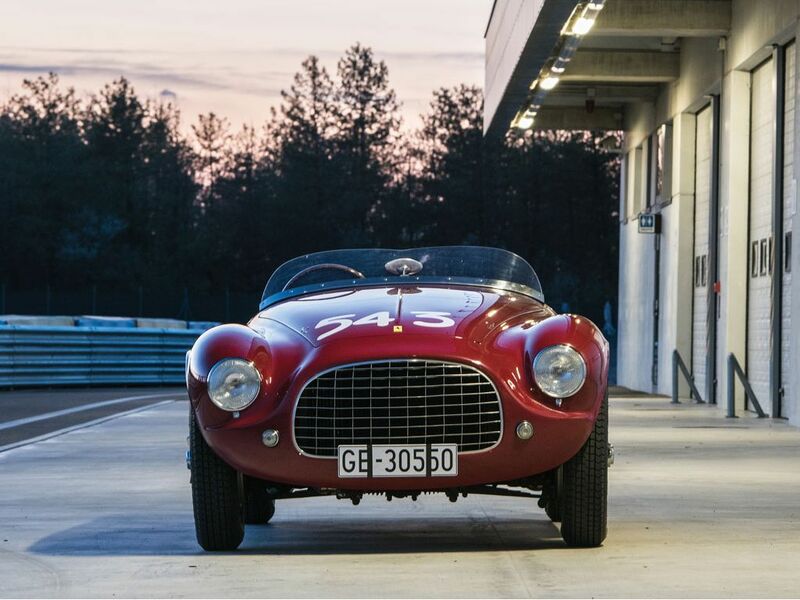 For many tifosi, ownership of an early, even-numbered chassis, V-12 Barchetta is a long-time goal, as they represent the purest incarnation of Enzo Ferrari’s dream. They were built and bred for racing, and they not only excelled on the track but also helped increase Ferrari’s reputation as a dominate force. This example is surely one of the best of its kind, and it is ready for use at concours events, rallies, and historic racing worldwide. As 0158 ED is a highly eligible Ferrari V-12 Barchetta, it is guaranteed entry at the Le Mans Classic, Mille Miglia, Tour Auto, Goodwood, and Monaco Historic Grand Prix. Ultimately, it would be a spectacular addition to any significant collection.